These giant daisy trees have an entire vegetation zone named after them and have been compared to Darwin’s finches as they display a similar pattern of evolution. Scalesia is a genus of the family Asteraceae that is endemic to the Galapagos Islands. They consist of 15 native shrubs and tree species with six subspecies. Other members of the Asteraceae family are daisies, lettuces, marigolds and chamomiles. Scalesia have been referred to as the Darwin’s finches of the plant world due to their great ability of adaptive radiation. Each of the species has adapted to the different vegetation zones across the different islands. A zone in the highlands of some islands is referred to as the Scalesia Zone which is a lush cloud forest and home to the largest of the Scalesia species. The dominant species is dependent on the island. S. pedunculata is dominant on Santa Cruz, San Cristobal, Floreana and Santiago while S. cordata is dominant on Isabela and S. microcephala on Fernandina. From a distance the vegetation looks like a hummocky bog land but under the canopy, mosses, bromeliads, epiphytes and orchids thrive. Swathes of Scalesia sometimes grow in cohorts (groups), all progressing at the same height and age, and often dying around the same time. They reach maturity after 15 years. 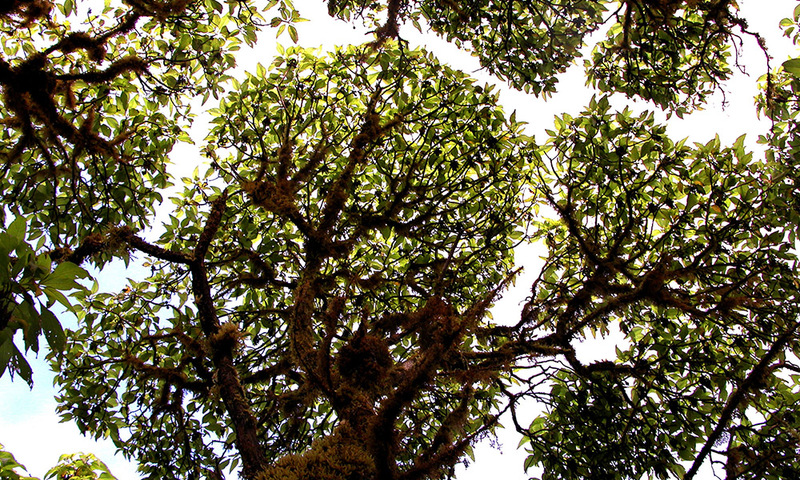 There are very few young trees under the canopy and as such the whole population grows and collapses at the same time. El Niño events, droughts and floods can cause entire forests to collapse. 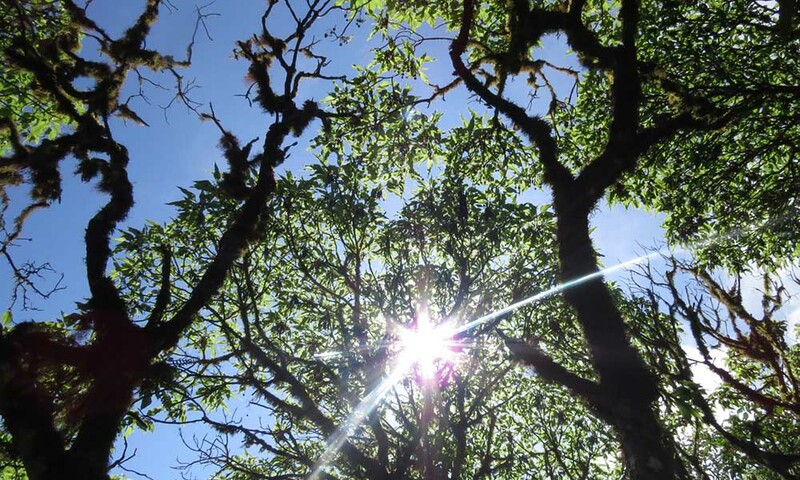 The next daisy tree seedlings will then start to grow, so they are in a natural cycle of renewal, but if strong El Niño events are more frequent than the 15 year regrowth time there will be fewer mature trees able to reseed the forests. Where to see them: They can be found on San Cristobal, Santa Cruz, Santiago, Isabela, Fernandina and Floreana. However the best areas are at the western end of Santa Cruz in an area known as Los Gemelos. They are more common on uninhabited islands. Threats: The whole Scalesia Zone is most threatened by human settlement. The zone is some of the most fertile land area on the Islands and perfect for agriculture. This has led to much of the original Scalesia forest being chopped down and replaced. Livestock also proves a threat to remaining forests as goats, pigs and cows graze on young saplings and small individuals. The spread of introduced invasive species including vertebrates as well as plants can cause the Scalesia to be outcompeted. Fires and clear-cutting for wood reduces the habitat even further. Conservation Actions: The Galapagos National Park covers 97% of the Islands and almost all Scalesia habitat is to be found within the Park boundaries. Significant efforts have also been made to control the numbers of goats on the islands as well the numbers of invasive plant species. In some areas, parts of the Scalesia pedunculata forests have been fenced off and bird numbers in these parts have also increased showing that it also helps the animals dependent on the trees. 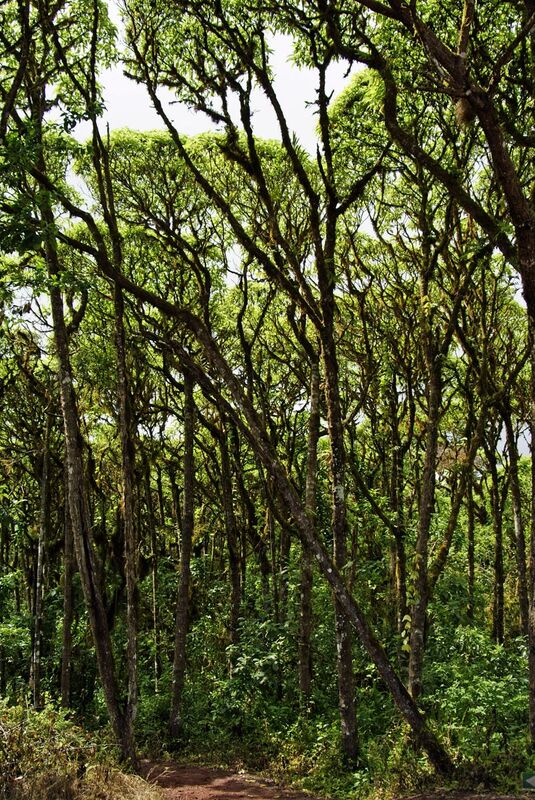 We are working with partners to restore the habitat of Floreana, which should benefit its Scalesia forests. Help us to protect Scalesia by donating today! The restoration of Scalesia affinis is part of Galapagos Verde 2050, a large-scale multi-institutional project led by CDF that aims to bring back the endemic plant species of the Galapagos Islands.